Bring home your very own PAW Patrol pup with Zoomer Marshall! 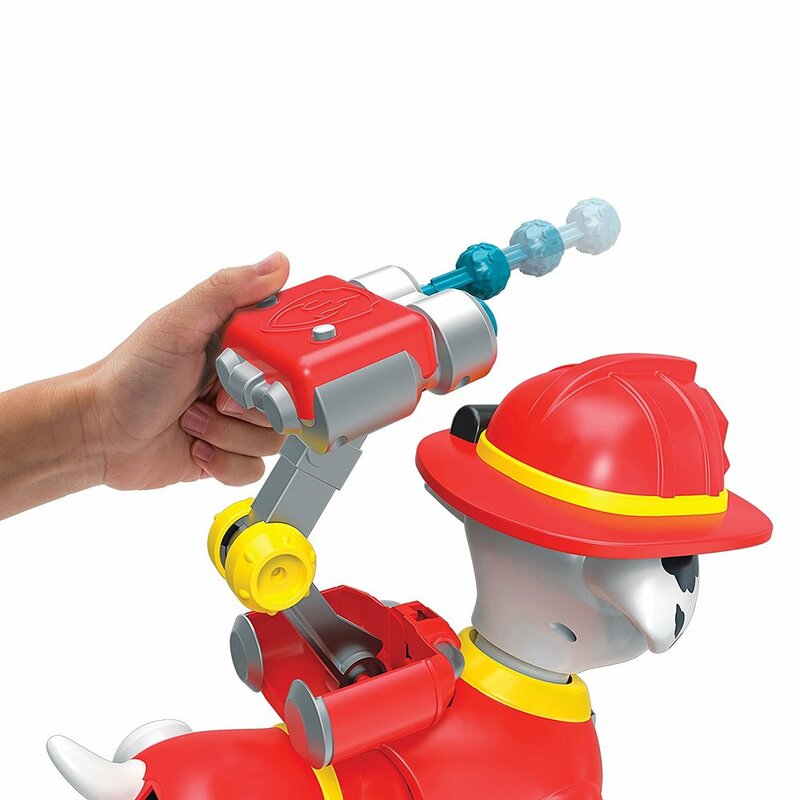 This interactive pup really talks, moves on his own, and responds to touch and movement. Marshall is ready for a ruff-ruff rescue and comes complete with a transforming Pup Pack and spring-loaded water cannon launchers. Join Marshall on real missions from the PAW Patrol show, and press his head to make him say real Marshall catchphrases and sounds. Be the hero of your very own Adventure Bay with PAW Patrol Zoomer Marshall! Jees, this is more than jus a toy. I have never been more impressed by a bit of plastic. Zoomer Interactive pets are generally something pretty special but we have only ever played with them elsewhere, we've never had one ourselves. What better way to start than with one of Rocky's favourite Nickelodeon characters, Marshall from Paw Patrol. 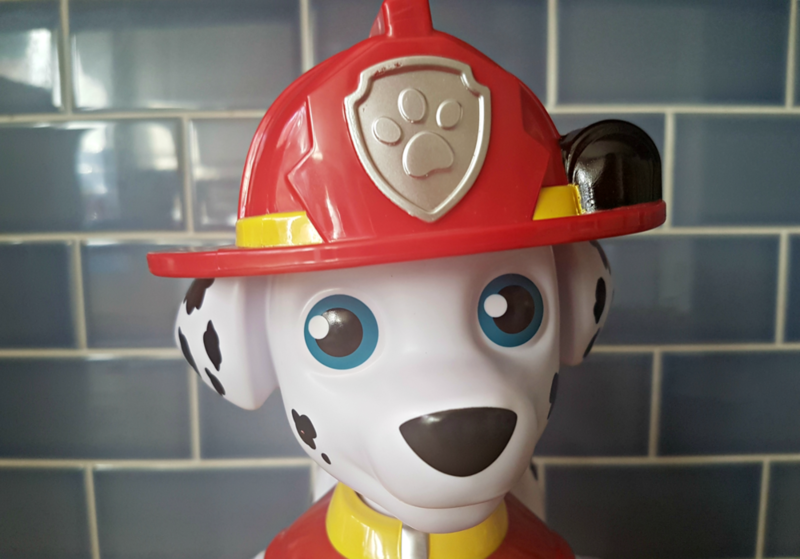 This little Zoomer Fire Dog is part of the Paw Patrol rescue team and can do over 80 different missions and has over 150 different sounds and phrases. He has 2 modes, press down his hat and he's in Pup mode; in which he can play, high five, be tickled, sing etc. Press his fire badge and he's in Mission Mode; which he has 80 different missions to do. He is fully interactive with voice recognition and sensors that mean he reacts to hand movements and can navigate round corners. He is bilingual... yep, Marshall can speak Spanish at the flick of a switch. 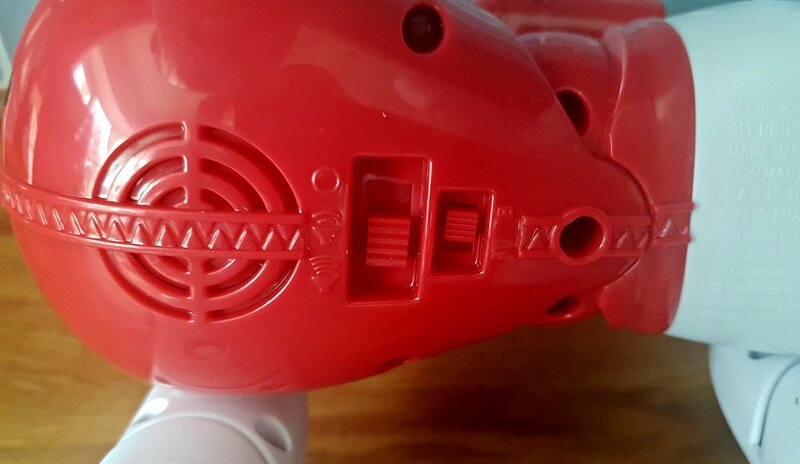 He also comes with 2 water missiles that interact with some of his missions, he can fire them to put out fires or to play with the other Paw Patrol team. He is genuinely the cleverest little plastic pup in the land. I'm a bit attached. Finally a pet I don't need to feed or toilet train etc. He is a winner in my eyes, welcome home Zoomer Marshall. Team up with Marshall to perform one of 80 interactive missions and tricks. He moves and acts just like Marshall - plus he knows over 150 real PAW Patrol sounds! Open up Marshall's Pup Pack to activate the water cannons and save the day. Zoomer Marshall is for ages 3 years and over and requires 4 x AA batteries (not included).